Anderson...Valentine Jackson Rinker, 77, resident of Anderson, passed away at his home August 25, 2018. He was born in Anderson, August 13, 1941 the son of Basil and Rachel Marie Thompson Rinker. 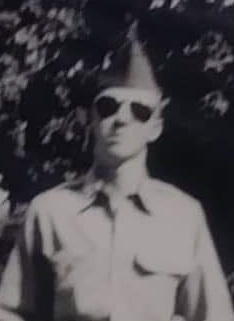 He was a US Army Veteran and worked at Guide Lamp Division of General Motors. He was a member of the Disabled American Veteran and the American Legion. Survivors are a daughter: Christina Garrett (Bill) of Muncie, 1 sister: Elizabeth Ann Gregg of Anderson, grandchildren: Christopher J. Helm (Shelly) of Anderson, Courtney A. M Lackey of Muncie, Cassandria Keihn (Micheal) of Muncie, great grandsons: Teegan Helm, Zander Wright, Jackson Keihn, Micheal Keihn, Markus Keihn, Deacon Keihn, Raigen Keihn and Jalen Keihn. Memorial Services will be held on Saturday September 8, 2018 at 1:00 PM at Ballard and Sons Funeral Home, 8212 South Walnut Street, Daleville. Friends may call from 11-1 on Saturday. Burial will be at Mt. Pleasant Cemetery in Daleville.